Lysol Neutra Air Sanitizing Spray - Lysol sanitizing spray contains a patented, odor-eliminating technology that destroys odors in the air and kills 99.9 percent of odor-causing bacteria at the source so odors won't come back. EPA-registered formula sanitizes and refreshes the air with a clean, pleasant fragrance. 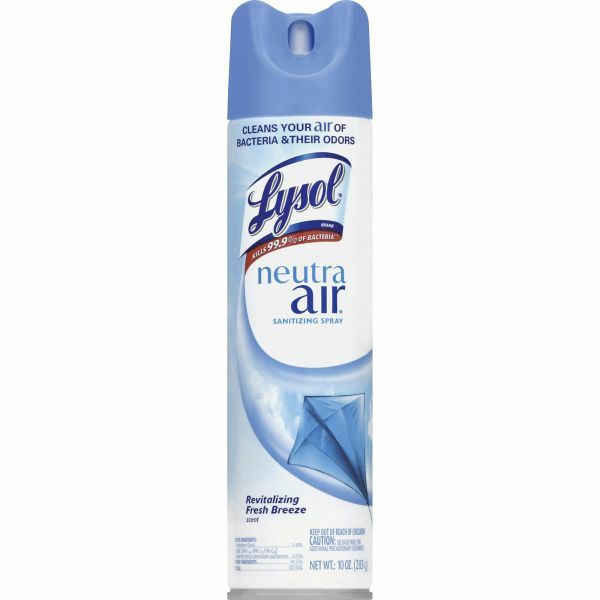 Unlike air fresheners that only mask odors, Neutra Air sanitizing spray eliminates tough odors such as smoke, food, mold, mildew, bathroom and pet odors.